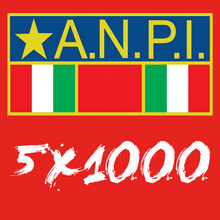 as attach you receive the letter of solidarity with ANPI and the Italian antifascists for their activites against the neo-fascist provocation on October 28,2017. The International Federation of Resistance Fighters (FIR) – Association of Antifascists and its member federations would like to express solidarity with your important event “L’Antifascismo in Marcia” Oct. 28, 2017. It was a scandalous provocation that open neo-fascist groups propagated to hold a commemorative marching on the 85th anniversary of Mussolini’s “March on Rome” 1922. Although this provocation is not allowed by the state authorities, it is necessary to give a common political signal against this provocation. Because we all know the inhuman and barbarian consequences of fascist policy not only for Italian people, but for other countries and peoples too. 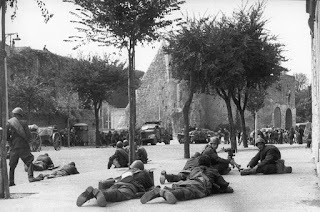 The common fight of the Anti-Hitler-Coalition, the partisans and the resistance fighters were the basis for liberation of Europe and Italy too from this barbarism. The Italian people took the chance for a political new-beginning by creating an antifascist constitution. This is your principle for a “new world of peace and freedom” (Oath of Buchenwald). The projected neo-fascist marching is directly contrary to the common basis of the Italian society. 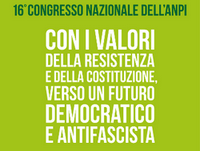 It is a very impressive sign that against this provocation the community of antifascist and veterans organizations connected with trade-unions, organizations of the civil society and political institutions comes together and stand in one line to defend the constitution and the values of antifascism.